Those spikey deals look pretty menacing. It wouldn't be a bad guess to think that they're abstract art meant to invoke a Medieval torture aesthetic. But that's way off. 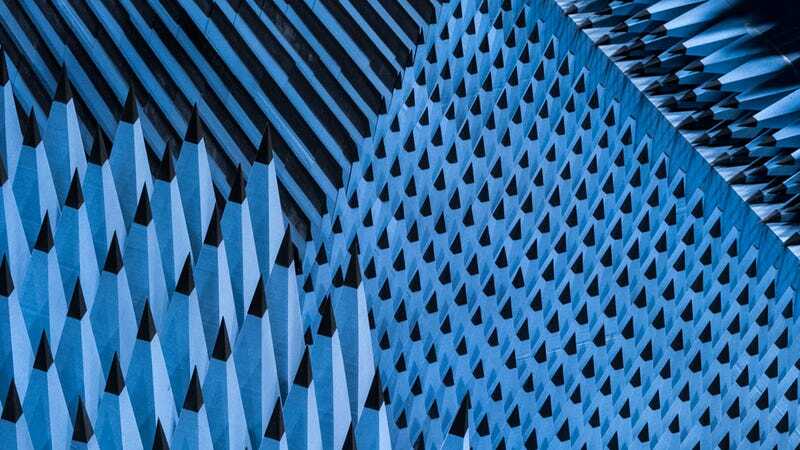 The infinitely repeating barbs are part of the anechoic chambers at the Technical University of Denmark. Basically they absorb sound and electromagnetic waves so scientists can test wave-emitting devices for things like volume and clarity. And they look badass doing it. Photos courtesy of Alastair Philip Wiper.